Adesh Gupta has been part of seven of 33 acquisitions by the Aditya Birla Group thus far. Adesh Gupta, Whole-Time Director and CFO, Grasim Industries. Photo: Rachit Goswami. 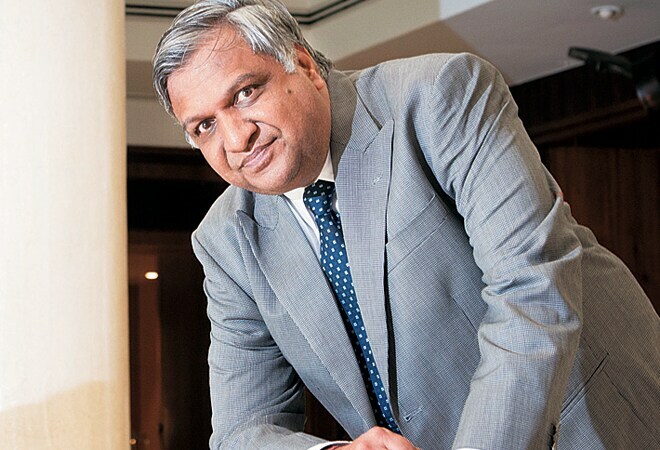 In his career spanning nearly four decades at the $40 billion Aditya Birla Group, Adesh Gupta has never taken more than seven days off in a year. A hard-as-nail negotiator, Gupta has driven several big-ticket transactions at the diversified conglomerate. He has been part of seven of 33 acquisitions by the Aditya Birla Group thus far. These include marquee deals like the purchase of Tata Group's stake in Idea Cellular for about Rs 4,400 crore and the demerger of group company Grasim Industries's cement business into UltraTech Cement. Today, 90 per cent of Grasim's revenue and operating profit come from its core businesses of cement and viscose staple fibre. Gupta's main responsibility is towards the fibre business, though he also oversees the cement business. In 2011, Grasim along with its parent acquired Swedish pulp maker Domsjo Fabriker for $340 million with an aim to secure the supply of raw material for Grasim's fibre business. This was followed by the acquisition next year of Canadian pulp maker Terrace Bay Pulp. "We want to be sure that the critical raw material is always available to the company and we are not vulnerable to the non-availability of pulp," says Gupta, explaining the thrust behind these acquisitions that allowed the company to expand its capacity globally. The Terrace Bay Pulp deal was an important part of the decision-making process for the jury for the BT-YES Bank Best CFO Survey, in which Gupta has been adjusted the winner in category of enhancing competitiveness through mergers and acquisitions. The Aditya Birla Group is the global market leader in viscose staple fibre with 21 per cent market share and has capacity expansion plans for the business. Gupta feels that the textiles business must take competition from China head on and that the government needs to facilitate the next phase of expansion. Gupta, who hesitantly gives credit to his Marwari lineage that makes him good with money, says a lot of his time now is devoted towards ensuring that good systems are in place within the organisation and that costs are kept under control. What is his success mantra? "[Be] the last man standing and the first man to go when business opportunity arises," he says.